Dan likes to cycle. 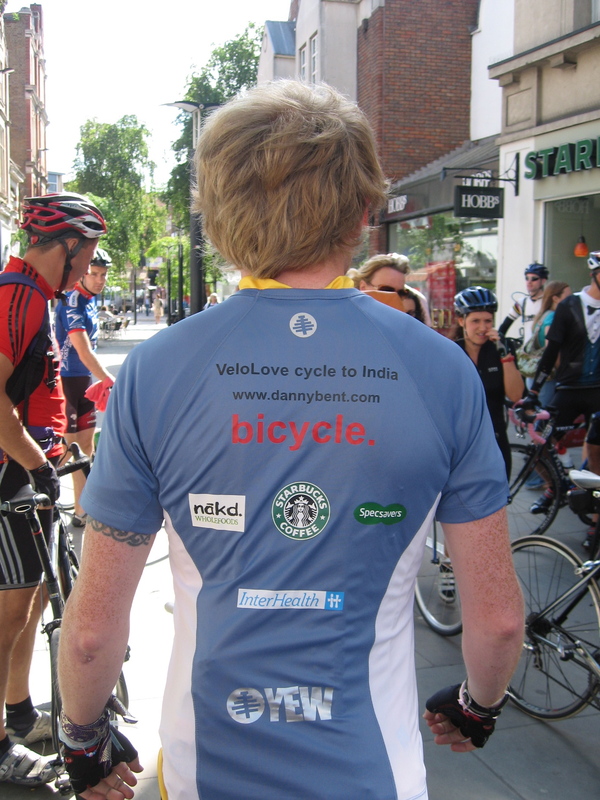 Which is fortunate, since he’s on his way to Chembakolli, India with 2 wheels and a lot of pedaling. He left from Richmond on 18th July and is making his way through Europe as we speak. He is literally on his own with a tent. And, Why? Well, apart from Danger Dan’s spirit for adventure, he’s raising money for Action Aid. You can support him by visiting his fundraising page – justgiving.com/dannybent. Yew were there to see him off and ride the first few miles with him. We also produced a special shirt for him to wear during his journey. Follow his exploits on his blog: http://mrbent.blogspot.com.